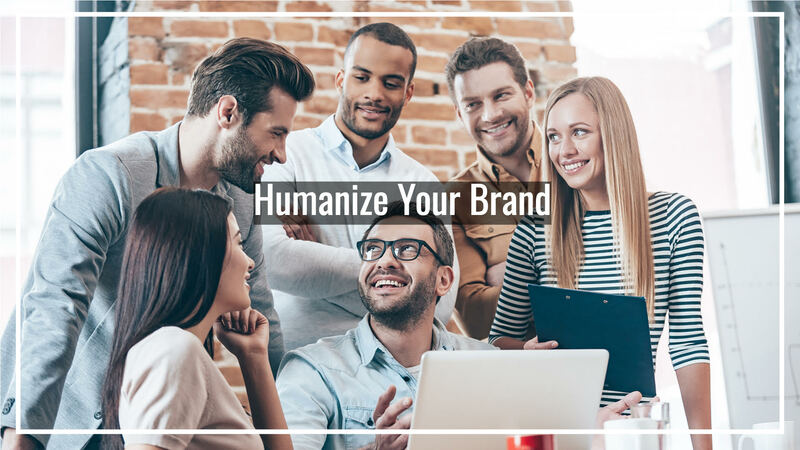 Something that I don’t see emphasized enough to current business owners and companies is the importance of humanizing your business. People are inundated these days with automated services, you call a number and you are given a pre recorded list of options, press 1 for yes or 2 for no, and by the time you get to a real person(if you get a real person) it’s an hour or more later. People are jaded, they don’t trust brands and see corporations as nothing more than faceless profiteers. Any advertisement shown to consumers is met with instant added scrutiny. There is a solution to this that is a lot more straightforward than people might think however a lot of people don’t want to exert the time or energy to do these things, whether it is for your law firm, dental practice, commence company that specializes in selling dog trinkets, or even companies as big as Wendy’s or Taco Bell. People trust other people more than they do massive corporations or even small businesses. To counteract this you have to make your brand seem more like a person, you need to humanize your brand. Imagine that Your Company or Brand is a Fictional Character with their own distinct human voice. Brainstorm a personality for your brand, don’t think small when it comes to this, think big! Come up with a fictional character that perfectly represents and embodies your brand or company and flesh out the nitty gritty details. What does this character like, what does this character dislike, what’s their name, how do they dress? Are they calm in the face of something difficult, do they have perfect manners or are they a bit more brash? These questions will help you imagine a real personality to serve as your brand’s avatar, and from there it’s easy to slip into that mentality. This is the best exercise to literally humanize your brand. One company that we worked with, an commerce company doing over 7 figures a year, developed several fictional characters to implement into their customer service plan. The regular customer service reps Brian and Jason did not truly enjoy dealing with difficult customers and sometimes would meet criticisms about their product with slight hostility and defensiveness which does not get you very far in this business. Customers really do come first and these types of responses were legitimately hurting their reputation. So we had them implement two women, Jessica and Sylvia, who were their “customer service alter egos.” These alter egos were filled with patience and compassion for their customers issues and were always looking to solve their problems and put their customers feelings first. It helped them to step outside of themselves and not view customer complaints as personal attacks towards their company. Think about how you can apply this tool of creating a fictional character to represent and humanize your brand. Don’t just post ads to your users; engage them in conversation. Exclusively posting ads reaffirms what they are already thinking about your company, that you are solely motivated by profit and lack any human aspect at all, and this makes them less likely to want to do business with you. Ask them what they like and what they want to see more of, some of our most successful Blogging clients are consistently asking their audience what they want to see more of in terms of posts, videos, snap chats, etc. whether that be fitness tutorials, meal plans, make up get ready with me videos, or a how to create a Shopify store tutorial. Give your audience what they want, reward them for being engaged and involved in your brand, people love when you reward their loyalty even with something as simple as a like of their comment on Instagram. If you see your audience members commenting on an external thread, jump into the discussion. This shows that you’re paying attention, and that you care about more than just one side of the conversation. The more you engage with your users, the more likely they’ll be able to see you as a trustworthy, personal entity that they want to work with or purchase from again and again. Yes this requires more work and it’s easier to just automate things to post on your social media sites however if you are going to outsource your company’s social media to a company like our’s, make sure that they understand the importance of engaging with customers and building brand loyalty. 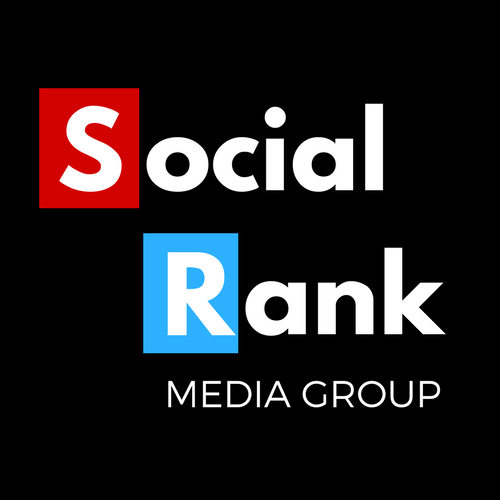 Anybody can automate tweets and Instagram or Facebook posts but the Social Media Management companies that can help you grow the most are those who understand the importance of honing your brand and engaging with your audience. When you engage with individuals, you’ll instantly cement those individuals’ loyalties, and you’ll look good to everyone else looking on. Humor has a primal way of connecting and humanizing us. When we laugh together, we tear down walls and bond with each other—it’s why we’re more likely to laugh when we’re surrounded by people we care about than we are when we’re by ourselves. When you make your users laugh, you show them that you don’t take life too seriously. 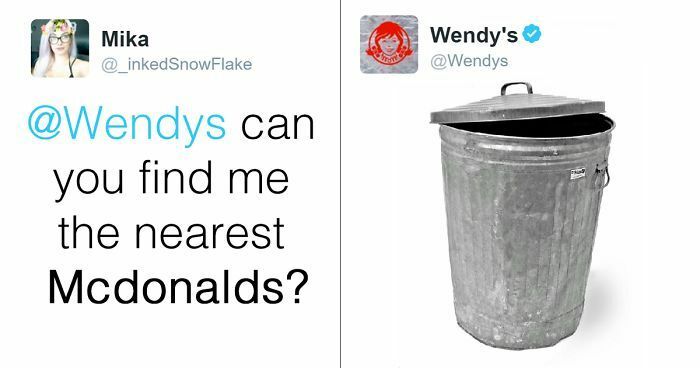 Breaking down the walls of business and showing your audience that have you a sense of humor and can poke fun at yourself or possibly them as done by Wendy’s shows that you can set aside the formal professionalism of your brand for just a moment to experience a humorous moment. Obviously, the type of humor you use will be dependent on your brand, but self-deprecating humor and tongue-in-cheek references are both extremely effective. You don’t have to be a consistent comedian, but you have to throw out enough references and asides to keep your audience feeling good about you. 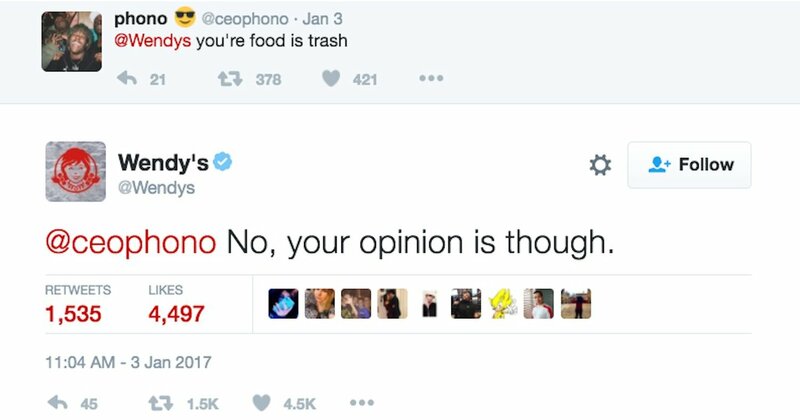 Earlier this year Wendy’s made headlines with their quippy Twitter banter and sassy responses to criticism or questions about their food. 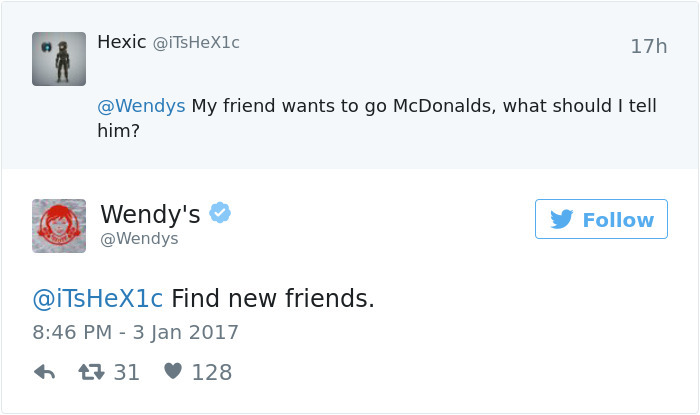 Wendy’s could have chosen to ignore the slew of messages that ridiculed them, but the brand chose to defuse the stand-off with clever humor. 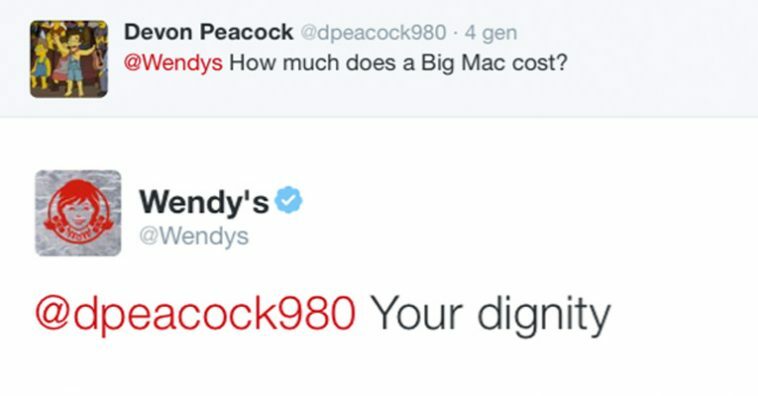 When Amy Brown, Wendy’s Social Media Manager, was asked why she chose to approach criticism of their food with humor and what she keeps in mind when communicating with Wendy’s vast Twitter audience.